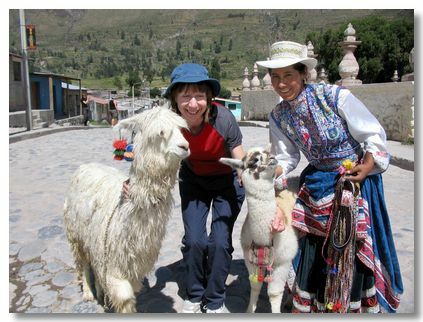 Peru is the most varied country I have visited. We went from a desert environment, to the high Andes, to the lush rain forests of the upper Amazon basin, experiencing a variety of climates & altitudes along the way. The Photos from our holiday are grouped according to the main places we visited along with a couple of extra pages showing other scenes from Peru. 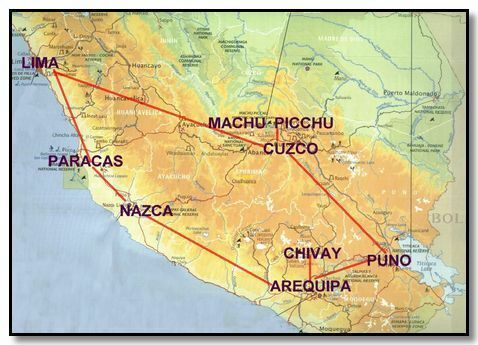 In May 2007 a group of ten friends set out on our Peruvian adventure. We had spent some two years planning the holiday and packed a lot into our itinerary. We flew into Lima and after a brief tour went to Paracas to visit the Ballestas Islands. 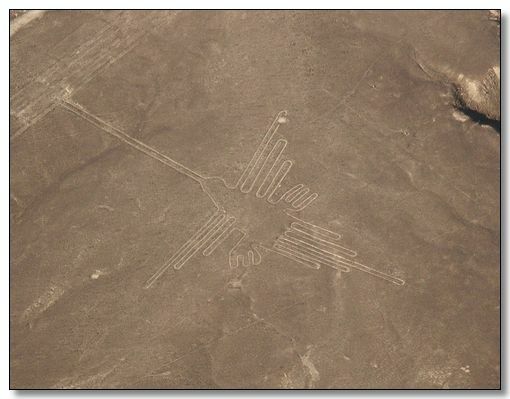 From there it was a short trip to Nazca to fly over the mysterious Lines. 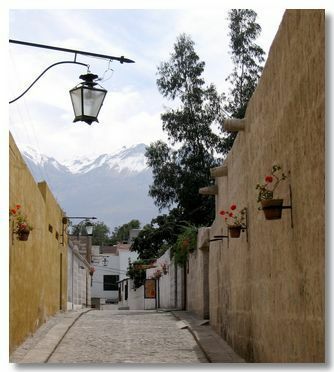 Then on to the colonial city of Arequipa, from where we had an excursion to Chivay to see the magnificent Condors. Next was Puno and Lake Titicaca to visit a couple of its strange islands, followed by a luxurious train ride to the Inca capital, Cusco. After spending a couple of days exploring the city and the Sacred Valley, we finally embarked on the 4-day Inca Trail trek to Machu Picchu, the highlight of the holiday, and deservedly so! 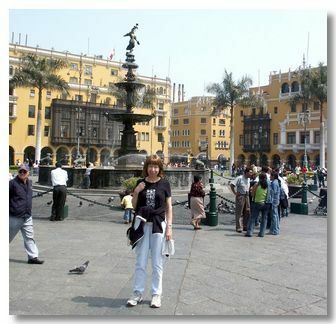 Lima, being the capital is the International gateway to Peru. Little remains to see prior to the Spanish conquest. 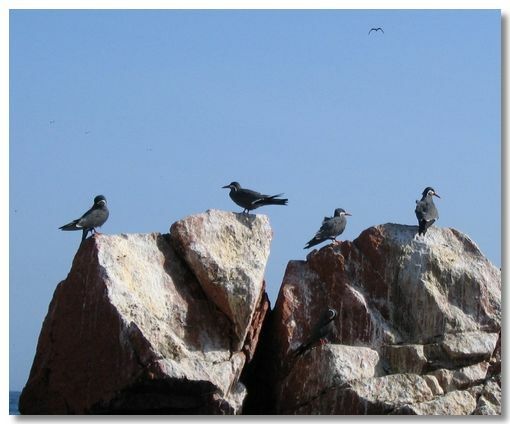 The Ballestas Islands are a nature reserve home to an enormous number of seabirds as well as penguins and seals. 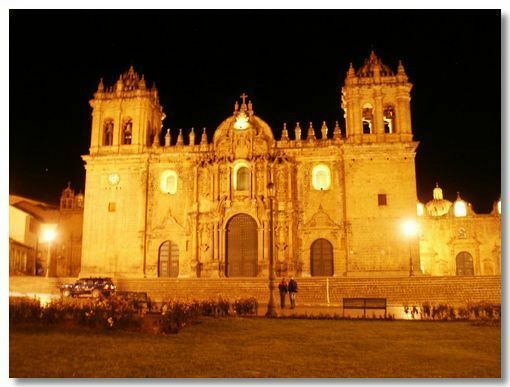 It is promoted as Peru's equivalent to neighbouring Ecuador's Galapagos Islands. The lines dug into the desert remain a mystery. Some of the geoglyphs are several miles long. Created over a period of a thousand years from 400 BC, they were then forgotten about until spotted from the air some 80 years ago. A charming colonial city in the shadow of some stunning volcanoes. Nearby is the deep Colca Canyon, home to the graceful Condors. 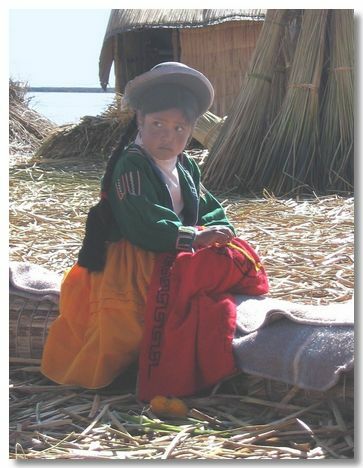 The world's highest navigable lake where we visited the floating Uros islands and the (real) island of Taquile. Nearby on the mainland is Silustani with ancient burial tombs in a very picturesque setting. 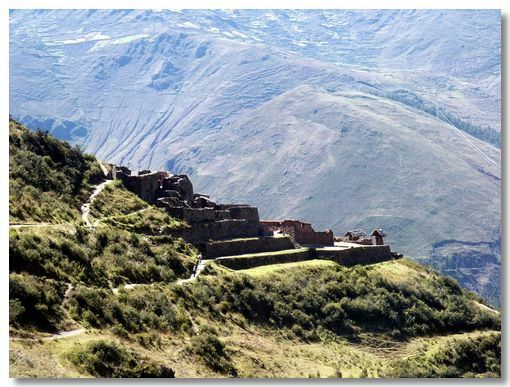 The old Inca capital is, deservedly, the most popular base for visitors. From here we explored numerous Inca remains, within and outside the city. The high Andes make a fantastic backdrop to the Inca sites. My photos hardly capture the sense of the overwhelming size of these mountains. 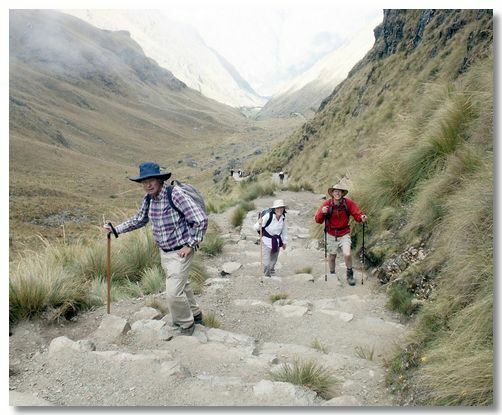 The four-day Inca Trail is one of the world's most scenic treks. Machu Picchu! 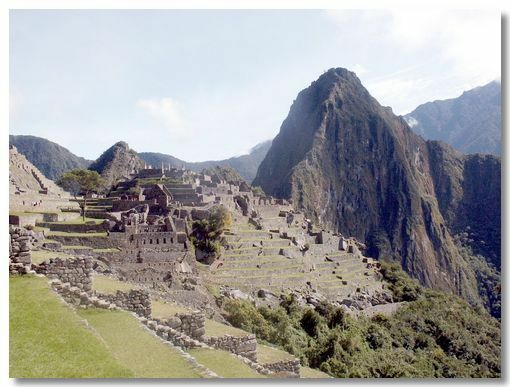 It is the setting on the edge of the Amazon basin that makes Machu Picchu so very remarkable. There were so many memorable views of Peru that don't easily fit into the main topics associated with my other Peru pages, that I have collected them under the headings "Travelling" & "The Lighter Side of Peru". 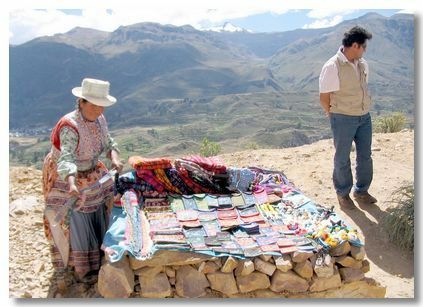 The holiday was organised directly with a Peruvian travel company; Coltur. They arranged the itinerary around our specific requirements, the guides were excellent, hotels were exactly as expected and the holiday was outstanding value for money. So thank you to Hannah & all at Coltur. We would all highly recommend them!